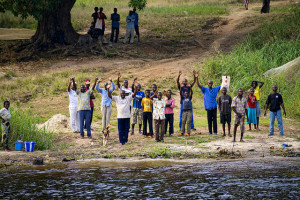 In the tropical woodlands of the Democratic Republic of Congo (DRC), on the banks of the deepest river in the world, the University of Kisangani is working to ensure better management of forests for a better future. 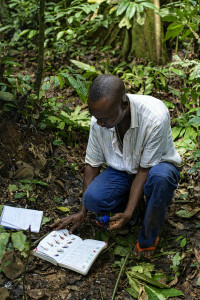 In 2013, the university celebrated its 50th anniversary with the launch of a new project – Forests and Climate Change in the Congo – which is boosting quality postgraduate training in forest-related disciplines. This initiative is taking place in a country that currently faces a serious lack of trained personnel in the sector. As recent as 2005, the DRC counted just six people with an educational qualification higher than a Bachelor’s degree in forestry and related disciplines who were actively involved in research. This is clearly incongruous, given that the country is not only the largest in size and population in the entire Congo Basin, but it also has the second-largest swath of rainforests in the world with some 86 million hectares in area. What’s more, it accounts for more than half of the total remaining rainforests in the Central Africa region. But years of political turbulence have left scars on the country’s human capital. Political instability has not only slowed down government machinery, but has also led to a serious brain drain as manpower elopes to more caring arms. Education did not just mark time, but was almost abandoned. According to the Center for Universal Education, the allocation for education in the DRC was just one percent of the national budget in 1990. As a result, there has been a significant lack of skills and knowledge in many domains in the postwar period. The forestry, agricultural and higher education sectors were among the hardest hit. As the country recovers from the doldrums of war, there is a need to harness and build national capacity to help local communities, the private sector and the state to pick up steam. To rebuild a vibrant educational sector, international partners and governments have come to the aid of the DRC. One pillar of the government’s post-conflict education strategy has been to improve the quality and relevance of education to local realities, and that includes addressing the forestry sector. 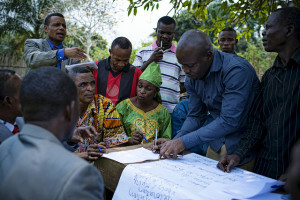 The Center for International Forestry Research (CIFOR) has been at the government’s side since 2005 improving governance by supporting teaching and training in various forest domains. Supported by the European Union and other international organizations, CIFOR has been carrying out long-term capacity building programmes at the University of Kisangani by training Master’s and Ph.D. students in Biodiversity and Forestry Management. From REAFOR to FCCC projects, more than 97 Master’s and 13 Ph.D. students have been trained in these areas. This year, 42 Master’s and ten Ph.D. students are enrolled at the University of Kisangani in forest-related domains. Some of the research proposals are highly innovative, such as the use of drones to monitor anthropogenic activity in protected areas. These emerging experts will help their country build the academic skills and knowledge needed to ensure sustainable forest management, good governance and the maintenance of biodiversity and protected areas. 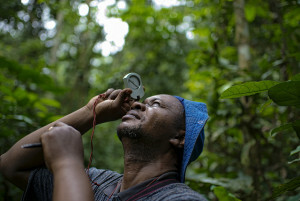 The University of Kisangani has been chosen as the seat of training for tomorrow’s researchers and forest managers by virtue of its location in the Orientale province, which is in the heart of dense, humid forest. This location is a nexus between theory and practice in forestry and biodiversity research. It hosts four key forest sites in Luki, Maskao, Yoko and Yangambi, as well as a botanic garden nurtured to sustain on-campus research and teaching. Facilities like these have seen the University of Kisangani emerge as a leading higher education institution for forestry, biodiversity conservation and sustainable natural resource management in DRC. According to Professor Faustin Toengaho Lokundo, Rector of the University, the curricula must be tailored to local realities in order to serve the needs of the Congolese society. To ensure quality education and research, a myriad of techniques has been used in the curricula. According to Robert Nasi, Director of Research at CIFOR, the strategy used for improving governance through capacity building hinges on two axes: developing an innovative Master’s curriculum and developing an international Ph.D. program tailored to national concerns. In order to ensure quality teaching and improved access to scientific literature, an online library service has been introduced, with more than 10,000 documents that supplement the existing university library. A more enabling learning and teaching environment has also been created with renovated lecture halls and offices, improved field and forest survey equipment, and on-campus internet access. In total, 11 students have already graduated with Ph.D.s, while 77 have graduated with Master’s degrees in Biodiversity and Forest Management, with another 42 underway. CIFOR has not limited the initiative in DRC to university students alone. In June 2015, 14 science journalists and newspaper editors from media organizations across the country converged at the University of Kisangani to work together on improving their writing and reporting skills on issues related to forestry and the environment. For two days, media practitioners and scientists discussed ways to keep the public better informed on newsworthy topics about the environment. Such initiatives are safe investments in youth, who now comprise more than 58% of the Congolese population. They will play a critical role in helping the DRC achieve the Sustainable Development Goals and be counted among the emerging African economies by 2035.